The Y.H.A. 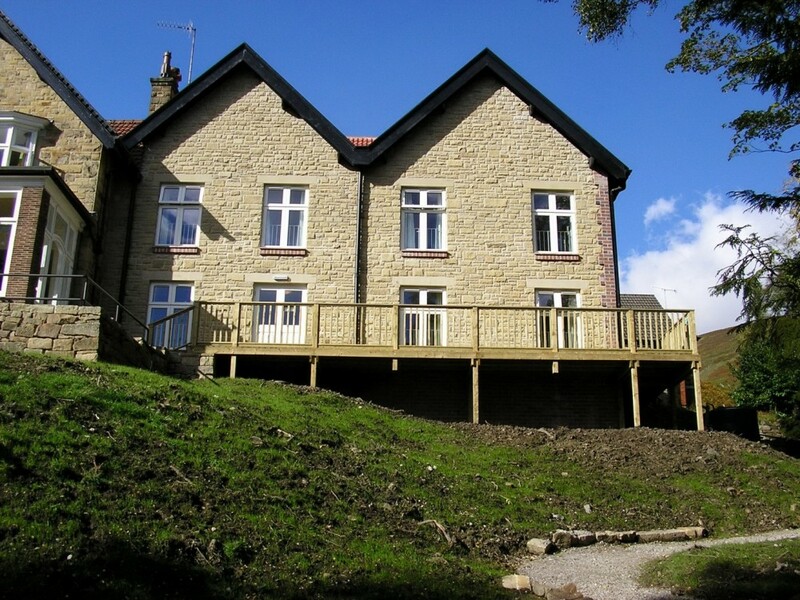 brief was to upgrade its hostel at Edale in the Peak Park. To be carried out over a series of phases, the first phase was the demolition of the existing work study room and a £640,000 extension to provide facilities for the disabled, including new ramp access, 5 rooms for disabled guests, 4 en-suite rooms and one with separate facilities, a new work study room and 2 further 4 bed en-suite rooms. The work study room provides a multi activity space for use of the hostel guests (including a compass for those who may get lost) as well as providing an area for outside companies to use as conference facilities.